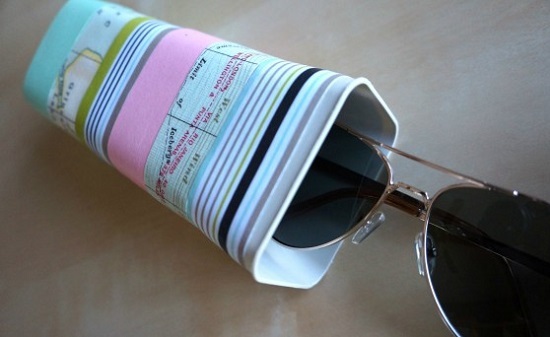 Check out these cool DIY sunglasses case ideas! 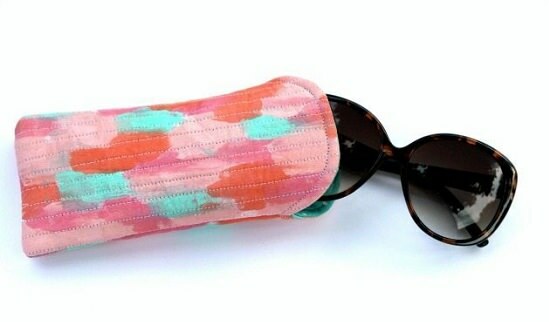 Not only do these sunglass cases keep your glasses safe, but they themselves look marvelous. 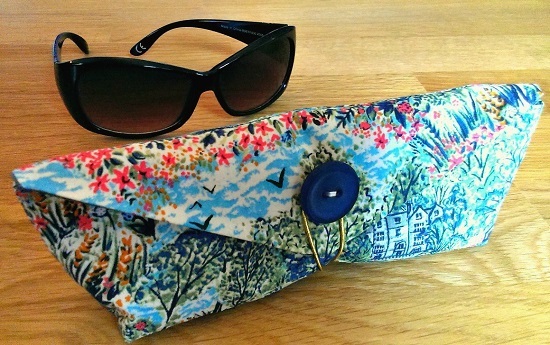 These no-sew sunglass covers are apt for the lazy DIYer who owns a big pair of sunglasses. Visit helloglow for the DIY. This snug case is a great way to put leftover yarn from winter to good use. Follow this post for details. 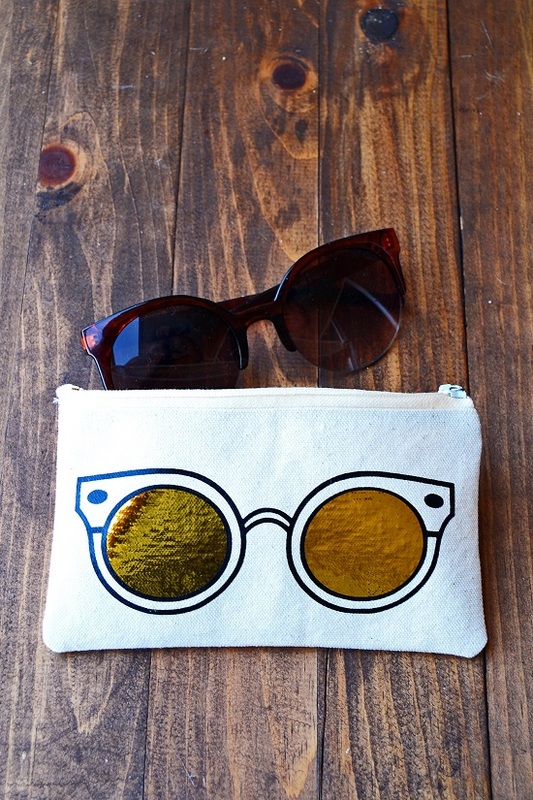 This handmade rainbow-style sunglass case is a cool nod to the seventies. We found the idea here. 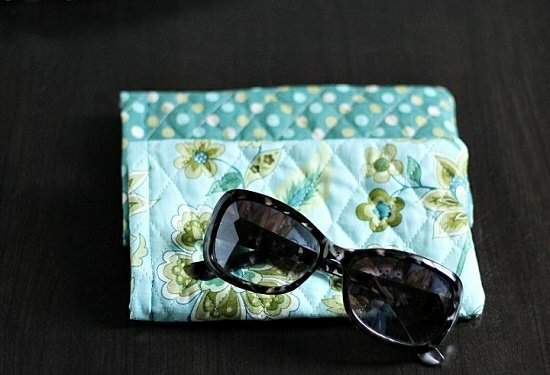 This cute quilted cover with cheery ruffles is a lovely home for your sunglasses. Get more info here. If you like having a combination of attractive prints in one case, this Washi tape DIY is for you. Here is an easy way to add a colorful touch to a regular leather case. Retro-themed sunglass covers never fail to impress with their minimalist appeal. Check out the DIY here. 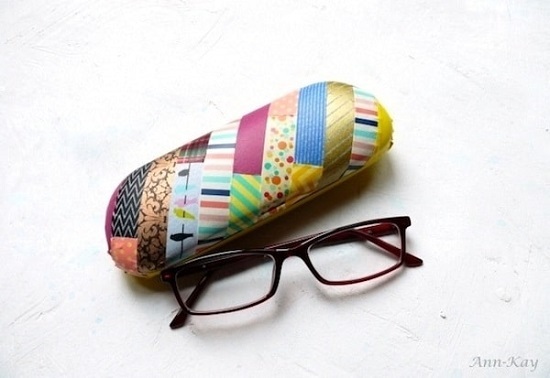 This beautiful Liberty store mimic is a cool way to ensure your glasses are safe from the ravages of summer travels. Get more details here. 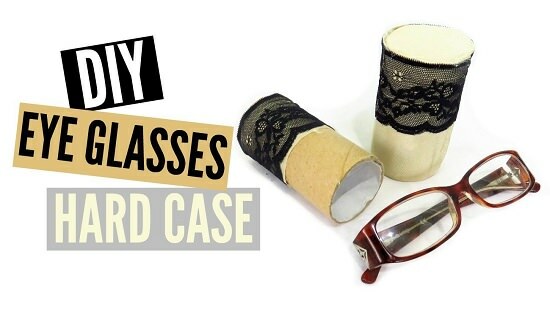 Empty toilet paper rolls are perfect as sturdy covers for your eyeglasses that tend to fall and snap out of their frames now and then. Here is the video tutorial. The softer pastel shades and cute animal motifs make this case idea a refreshing change from the more somber versions on the list. Follow this link for the tutorial. 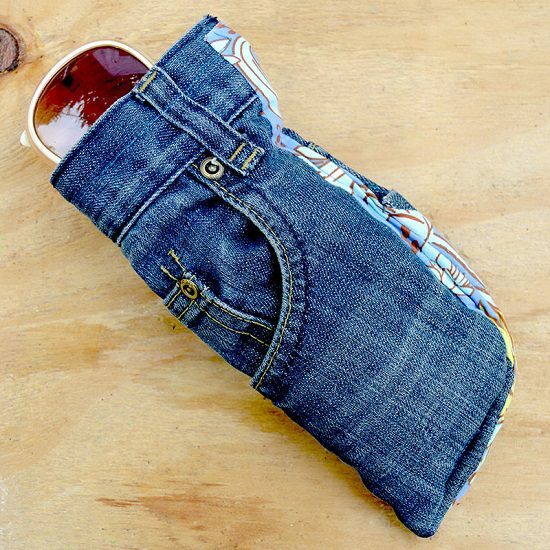 Recycling jeans into sunglass covers ensure you make full use of the front pocket to keep your change and cards handy. 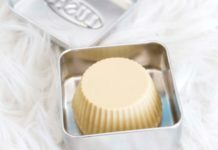 See the DIY here! This DIY tan leather case with Cricut straps and tassels looks no less than its similar-looking branded counterparts. If you think about it, your soft satin neckties are actually pretty nice cases for keeping your sunglasses safe. Take the help of this tutorial. The vintage-style look is just as fancy as leather and easy to recreate for beginner DIYers. The detailed tutorial is here. Decorative fabric is the key game-changer of this captivating sunglass case that had humble beginnings to start with. The DIY is available here. This interesting drink container use is sure to make your coffee-loving friend chuckle. 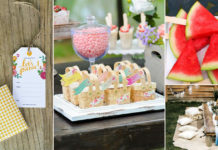 Diyinspired provides more details. 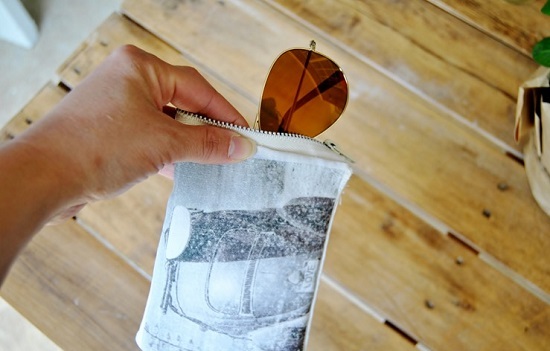 Here‘s a nice idea to keep your sunglasses safe and even showcase your abstract art skills in the process. 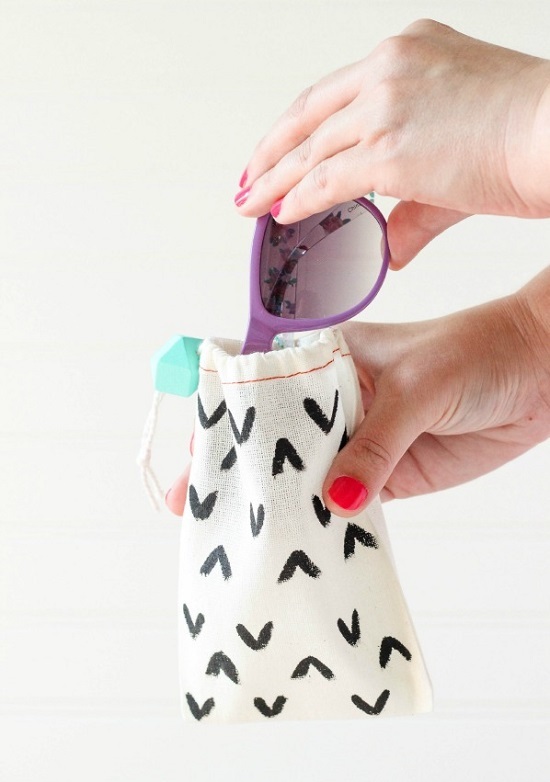 For the shortcut-lovers, this Pringle can-turned sunglass holder is a boon. We found the idea here. 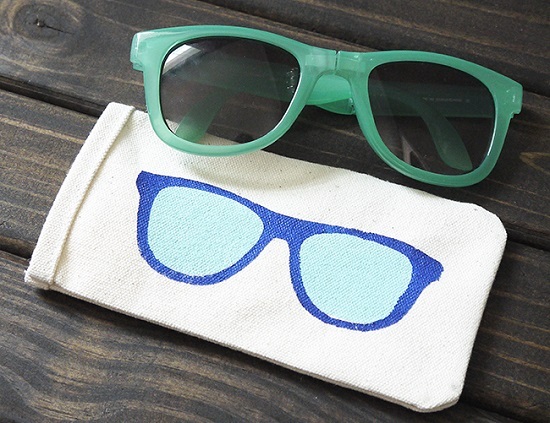 Paint a muslin bag with different colors and doodles to create a stylish sunglass case in no time. Access the DIY here! 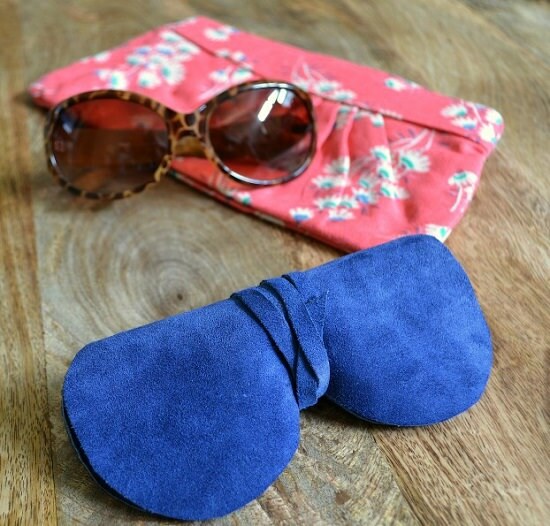 Being sturdy yet soft, suede is a worthy choice of fabric for your sunglass case. 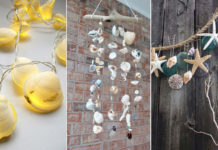 Get the DIY at hellolittlehome. 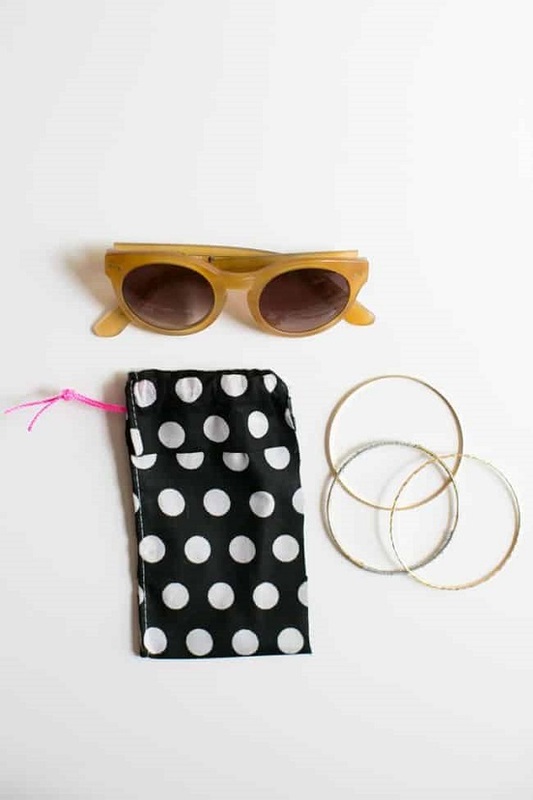 Using duct tape and felt together means you can’t get a sturdier case for your sunglasses. We got the inspiration from here. 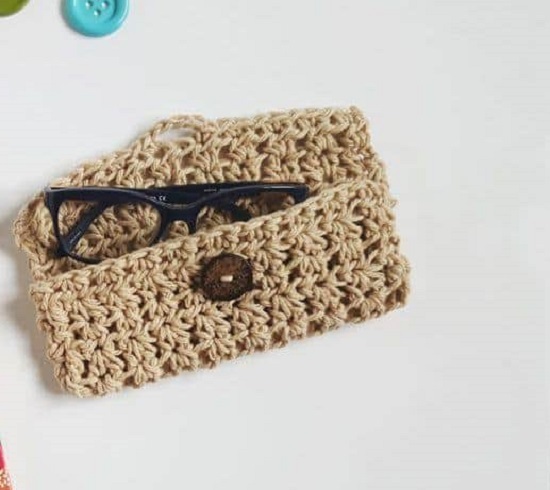 Easy to make and inexpensive, this cute sunglass clutch is a lovely gift for a friend who likes cats. The instructions in detail are here. These cute cases with ample padding and exotic prints are excellent gift options for Mother’s day. Click here to know the procedure. Nothing better than the refreshing summer motif to carry around your shades to the beach. Read this post for instructions. 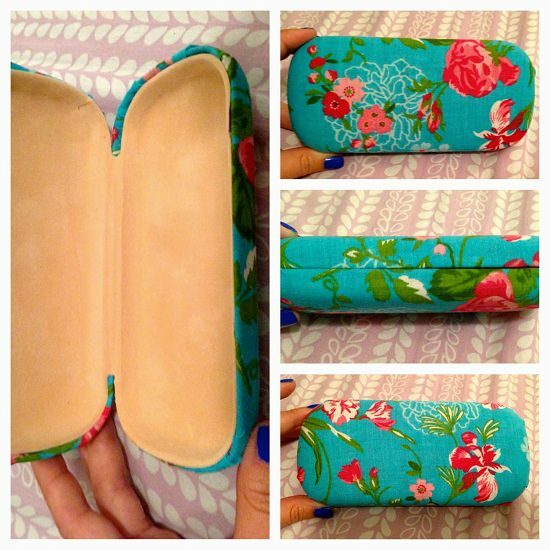 With floral accents and a drawstring, the old world charm of this DIY sunglasses case is hard to miss. Know more about it here. This zippered glass cover has a timeless style and a soft fleece lining that keeps your shades protected. The video tutorial with instructions is here. 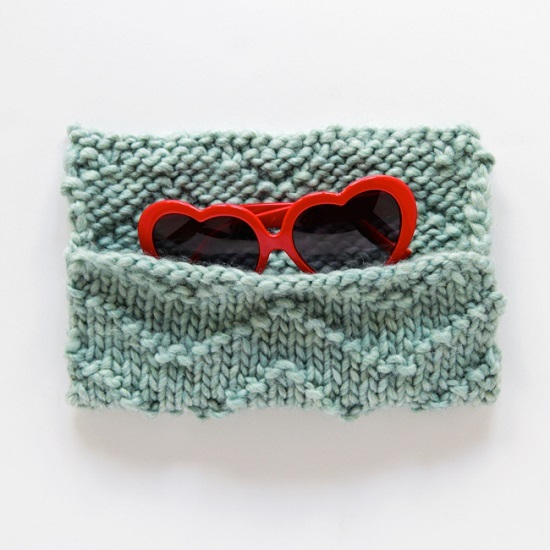 A crochet pattern offers a snug feel to your shades, keeping them safe and scratch-free no matter how much you travel. The pattern is here. A cool ode to all things summer, this whimsically shaped case is sure to get those compliments rolling. Check out the tutorial here. If Marvel comics are your go-to pleasures, this chic shades cover is sure to appeal to you. Follow the tutorial here. Faux sunglass cases have a sophisticated air about them that makes them apt for formal occasions. See the details here. 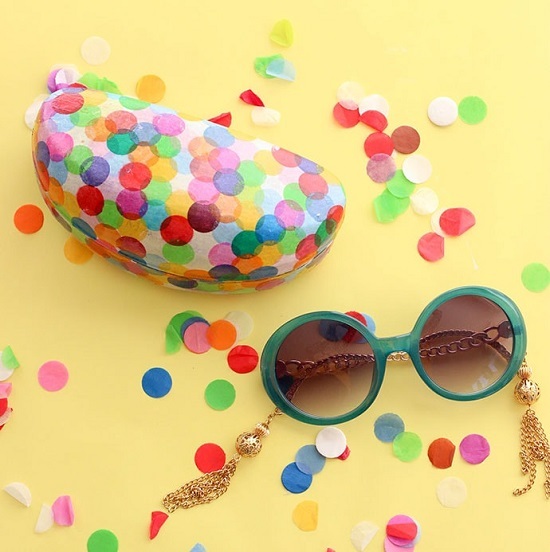 Give a festive twist to old sunglass cases with some glue and confetti by following this post. 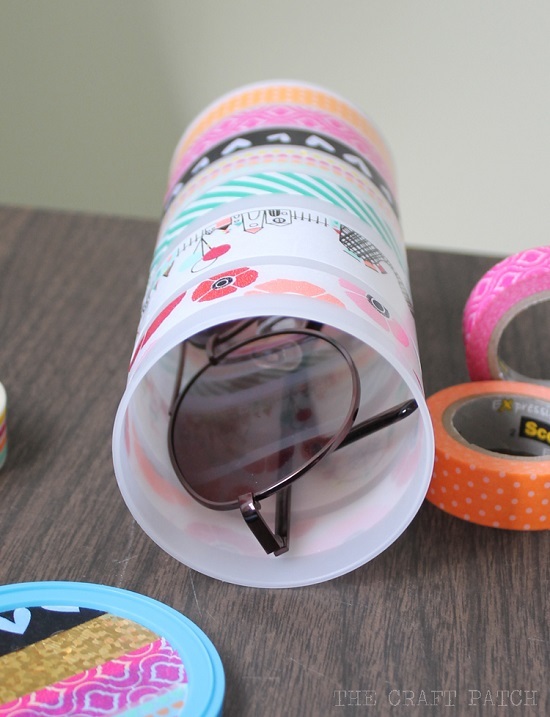 Using a basic paper towel tube as the template, this DIYer stuck on a bright piece of fabric to create a naturally durable case for her shades. Do this by following the DIY. 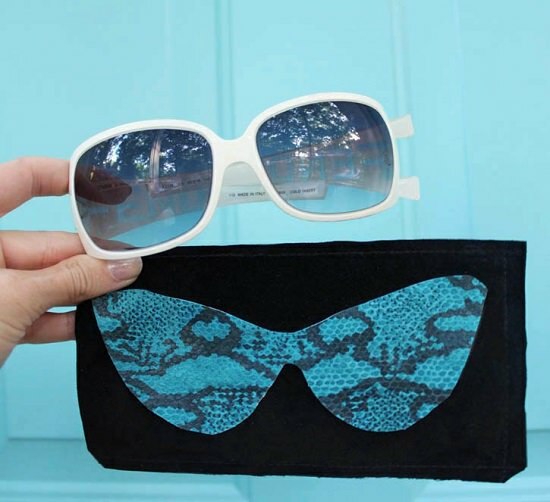 This DIY sunglass cover is an excellent example of how simple things can turn extraordinary with the right kind of embellishments. 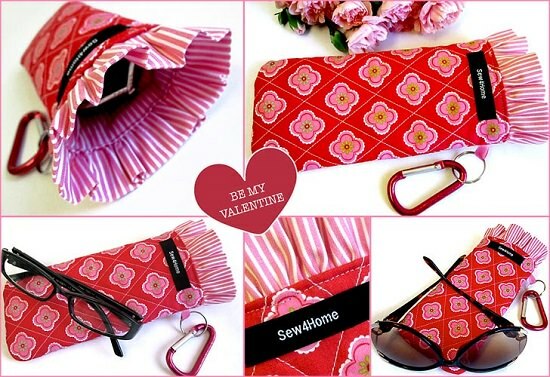 Put together a pretty piece of fabric and velcro strap, and you’ve got a trendy sunglass case that lasts a couple of summers. Step by step tutorial is here. This fleece case with embroidered patterns is a great gift for the special person in your life. For more instructions, click here. This case comes with scalloped edges and extra padding to keep your shades scratch-free this summer. We got the inspiration from here. 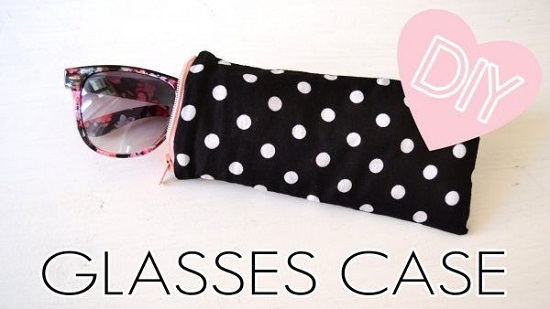 This stylish sunglass case was made using vinyl, die-cutter and a free template available at diycandy! Easy to sew, this plush casing has a vintage look that is a delight to flaunt around. The simple steps are here. For a durable cover that can stand the test of time, try this DIY vinyl case we provide here.